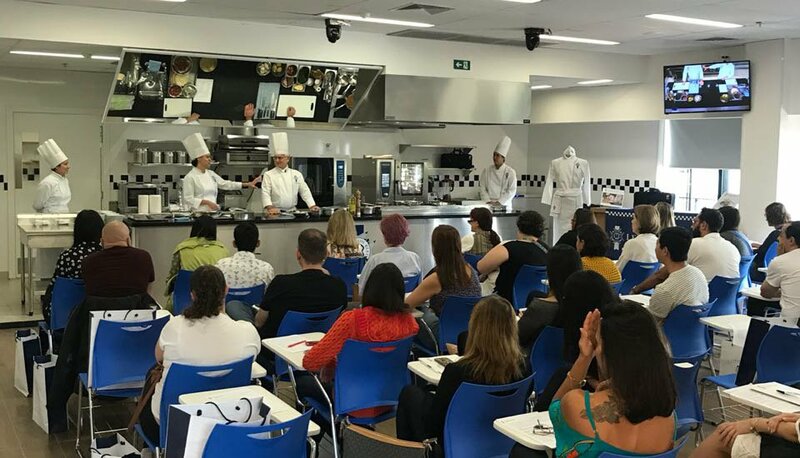 After certifying 35 students in the first two classes in Brazil, Le Cordon Bleu São Paulo started on 16th July new classes of the Certificates Basic Cuisine, Basic Pâtisserie, Intermediate Cuisine and Intermediate Pâtisserie with 29 students enrolled. The classes will last three months when the students will receive the international certificates. 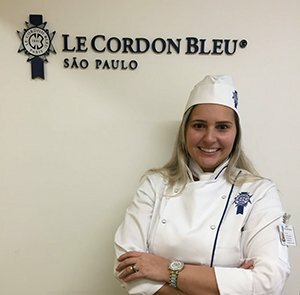 Thaís Panizza, 32 years old, is attending the Diplôme de Cuisine and says that the first days of classes at Le Cordon Bleu São Paulo surpassed her expectations. Thaís highlights the rigor of the organization, uniform, and cleanliness, which show the standard required by the institute, with daily assessments, which make up a large part of the performance note of each student. "With this training, we create good habits that we will lead to life within the kitchen, whether professional or not. Chef Jean Yves, chef Renata Braune, all the staff, besides being very knowledgeable, have the patience and didactics to deal with the students and transmit their knowledge. The structure of the demonstration rooms is exceptional and the kitchens have the best materials and equipment on the market! And at this point, you really understand that the institute provides the best just to demand the best of you and raise the standard expected of a professional formed. It is a privilege to be able to study here, but it requires full dedication with a lot of training and extra study. Being prepared for the lessons and coaching what we learn at home are key, but all this effort is worth. I feel proud and fulfilled for being part of this group of people who will carry the name and excellence of Le Cordon Bleu wherever you go", she says. The students who study at Le Cordon Bleu São Paulo have at their disposal a complete infrastructure, with seven professional kitchens, two dedicated to demonstration classes, two for cooking, one for confectionery and bakery, one polyvalent and one for preparation and production, besides auditorium for lectures and a library. The rooms are equipped with the most modern cooking technologies. On Saturday, the 21st of July, the institute held other Open Doors and received 34 visitors. 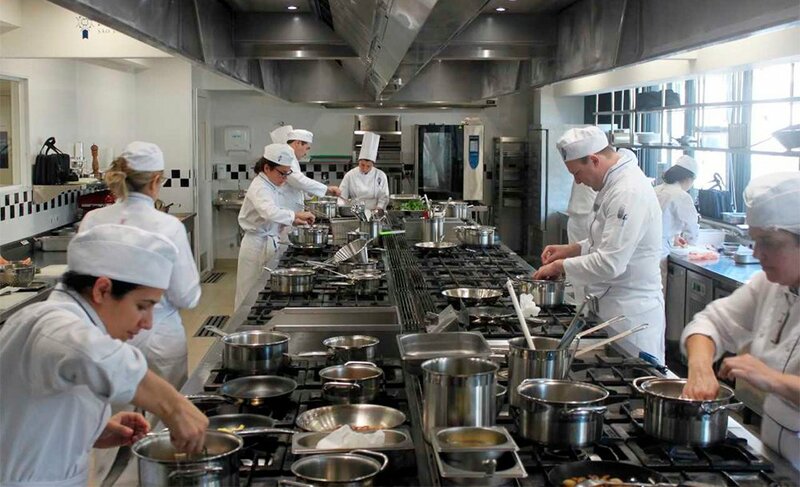 During the event, the participants were introduced to the facilities and kitchens, which follow the same standards of excellence in all 20 countries where Le Cordon Bleu is present. Then, technical director Patrick Martin and chefs Jean Yves, of Cuisine, Amanda Lopes, of Pâtisserie, and Renata Braune, of Preparation and Production, presented a special demonstration class and explained the teaching programs offered: Diplôme de Cuisine, Diplôme de Pâtisserie and the Grand Diplôme. The next Open Doors will be held on 4th and 18th August. Register now. Applications for classes starting on 1st October. Meet our programmes. Next Open Doors: 4th and 18th August. Register now. Contact us: saopaulo@cordonbleu.edu ou 11 3185-2500.